AND HE'S THE BIGGEST THING IN POLITICS. He is the perfect presidential candidate. Conservatives love his hard-hitting Republican résumé. Liberals love his peaceful, progressive practicality. The media can’t get enough of his larger-than-life personality. And all the American people love that he’s an honest, hard-working man who tells it like it is. A most extraordinary satire, Jason Heller’s debut novel follows the strange new life of a presidential Rip Van Winkle: a man who never even wanted the White House in the first place, yet finds himself hurtling toward it once more—this time, through the media-fueled madness of 21st-century America. Jason Heller is an American culture journalist whose work appears in The A.V. Club, Village Voice Media, Alternative Press, Tor.com, Weird Tales. 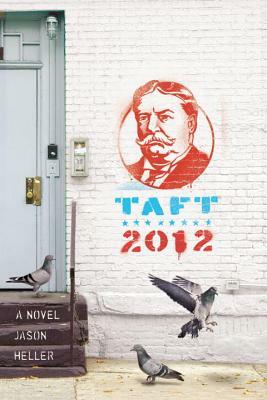 Taft 2012 is his first novel. He lives in Denver, Colorado.